We’re coming to the end of the Kickstarter campaign. Hard to believe that 30 days have gone by so quickly. Even harder to believe that we’re at 302 backers. In a final push, we bought the leaderboard on the AOPA Aviation eBrief for today, which has added some 13 new backers in the past few hours. (Thanks, AOPA!) This puts us nearly 7 times our original goal. If you don’t/didn’t get in on the Kickstarter, be sure to check out the web store. It will open shortly after the campaign ends. The weather is supposed to be good this weekend, so we hope to get some flight testing done with the new boxes and the latest version of the software. It contains the first cut at the update process. We’ve made good progress on a number of other fronts. We now have a good means of making the data card read-only, which significantly reduces the possibility of corruption. We’ve also put together a script which assigns a unique ID to the Wifi SSID of each FlightBox. It’s rare that you would have several operating in close proximity, but not unheard of. This will make that much easier to manage. That’s it for now. Please check back on Thursday (2/18/2016) to see how the campaign turned out. We have about a week left on the Kickstarter campaign, which is rather amazing – time flies. In preparation for “what comes next” we’ve started building out a web store that will take over when the Kickstarter ends. We will be offering both models of the FlightBox quick-build kit, plus the FlightBox case for those DIY-ers who want to build a system from scratch. We’ve already placed an order for first run of cases and will be ordering the other components as soon as the Kickstarter funds arrive. 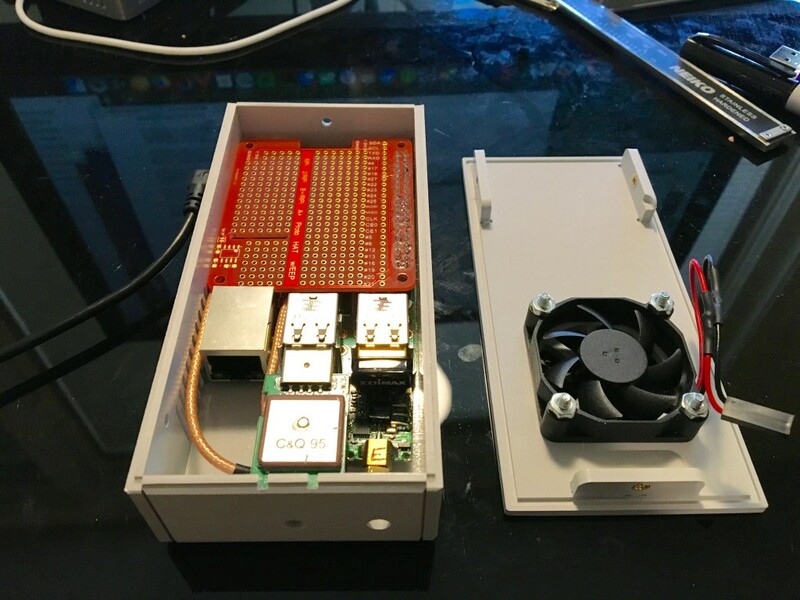 If you’re interested in getting a FlightBox as soon as possible, please place an order on Kickstarter now – the kits will be shipped in “backer order” until all Kickstarter orders have been fulfilled. Only after those have been handled will we be able to process and ship web store orders. A few days ago Congress published a bill generally referred to as the “FAA reauthorization” – a 279 page document that allocates funding for the FAA for the next several years and also sets policy mandates for the FAA and the Department of Transportation. Formally know as the “Aviation Innovation, Reform, and Reauthorization Act of 2016”, the bill makes some major changes to ATC and includes a number of significant positives for general aviation, including the long sought 3rd class medical reform. The reauth bill includes provisions that would effectively eliminate the current 3rd class medical requirement within 180 days of enactment. It would allow any pilot with a valid driver’s license to carry up to five passengers in aircraft weighing up to 6000 pounds, on flights below 14,000′ MSL and at speeds below 250 knots. To qualify, the pilot would be required to take a free online medical education course every two years. This is a bit different from the changes covered in the Pilot’s Bill of Rights 2 that was recently passed by the Senate. That bill required a 3rd class medical for new pilots, and for any pilot who had not held a valid medical certificate within the past ten years. It also limited operations to aircraft weighing less than 6000 pounds, but set the ceiling slightly higher at 18,000′ MSL. It also mandated a checkup by a primary care physician every four years. While it’s hard to predict the future, it’s quite likely that the reauth will eventually be rewritten to match the PBOR2 simply to reduce friction. Much like the PBOR2, the language in the reauth gives the FAA 180 days to produce rules that meet the intent of the law. If they fail to meet that deadline, the law explicitly prohibits them from taking any action against pilots who operate within the specified limitations without a medical. This is one of the few places where the bill actually adds teeth. Other sections set deadlines for changes but do not include any penalty that automatically triggers if the Administrator fails to meet it. (B) noncommercial aircraft operations of turbine engine aircraft. Why they chose to make this distinction by propulsion technology is something of a mystery. If the goal is to carve out GA and only charge commercial carriers, it would seem logical to specify who pays based on the operating rules. “Only those flight operations conducted under Part 121 or Part 135 are subject to user fees.” or similar. (d) Access To Airspace.—Neither the amount of charges and fees paid nor the applicability of subsection (c)(4) shall be determinant of access to airspace. (4) 2 Directors nominated by the Nominating Member appointed by the principal organization representing noncommercial owners and recreational operators of general aviation aircraft. (B) An individual appointed by the principal organization representing noncommercial owners and recreational operators of general aviation aircraft. And here you see the potential for a turf battle. Which group is “the principal organization representing noncommercial owners and recreational operators“? Is that the AOPA or the EAA? Who gets to make the decision? (1) BEFORE DATE OF TRANSFER.—Before the date of transfer, and not later than 30 days after the date of enactment of this subtitle, the Secretary shall determine the principal organizations referred to in subsection (a)(2). (2) AFTER DATE OF TRANSFER.—On and after the date of transfer, the Board shall determine the principal organizations referred to in subsection (a)(2) in accordance with the bylaws of the Corporation. The bill specifically hands the nominating membership and the board seats to the “principal organization representing noncommercial owners and recreational operators of general aviation aircraft” so what about Business Aviation? As it stands now, they and a bunch of other groups get seats at the kids’ table. The bill provides for a board of advisors that includes BizAv, airport operators, the Department of Defense, aerospace manufacturers and other groups that may have an interest in air traffic. To be honest, as long as I can fly when and where I want without being nickeled and dimed, I don’t personally care if ATC is a function of an agency or of a federally chartered private corporation. Perhaps I’m naive, but the governance structure is irrelevant to me. Anyone out there have a good counterargument? Am I missing something? For the past several years there has been some argument over whether a tenant at an airport that receives federal funds can use that space to build an airplane. At question is whether or not construction of a homebuilt aircraft qualifies as an “aeronautical activity”. While it should seem obvious to any reasonable person that building an aircraft is at least as “aeronautical” as storing one, some bonehead airport administrators have used it as an opportunity to push out homebuilders in favor – presumably – of tenants that buy more fuel. “(B) the receipt of Federal financial assistance for airport development. Note that “covered aircraft” in this case means “covered by this law” – it does not mean that it only applies to the Polyfiber crowd. Hopefully that will put an end to one of the more silly aeronautical kerfuffles of the recent era. If you’ve read any of the articles that I’ve written (other than the one about how my ailerons froze on takeoff once), you probably know that I have a personal passion for hacking through the red tape that makes it impossible (or at least economically unfeasible) to upgrade legacy aircraft with safety-enhancing modern technology. It seems that Congress feels the same way. The reauth bill includes a small but vital section that attempts to force the FAA to finally get over its fear of computers and allow us to retrofit our aircraft in ways that make sense. SEC. 315. SAFETY ENHANCING EQUIPMENT AND SYSTEMS FOR SMALL GENERAL AVIATION AIRPLANES. (a) Policy.—Not later than 180 days after the date of enactment of this Act, the Administrator of the FAA shall establish and begin implementation of a risk-based policy that streamlines the installation of safety enhancing equipment and systems for small general aviation airplanes in a manner that reduces regulatory delays and significantly improves safety. (c) Collaboration.—In carrying out this section, the Administrator shall collaborate with general aviation operators, general aviation manufacturers, and appropriate FAA labor groups, including representatives of FAA aviation safety inspectors and aviation safety engineers certified under section 7111 of title 5, United States Code. (3) is not used in scheduled passenger-carrying operations under part 121 or 135 of title 14, Code of Federal Regulations. This is exactly what I’ve been looking for. Unfortunately, I don’t think the policy wonks who wrote this have a very solid understanding of the actual requirements and processes – things like TSO authorization, STCs, etc. – that stand in the way of this. This is rather an expansion of the language from the General Aviation Revitalization Act from 2013 which demanded that the FAA have had the complete Part 23 rewrite complete by December 15, 2015. That day came and went and so far as I can tell, nobody was fired, demoted, or even publicly humiliated for the failure. What this needs is some teeth – a bit like the medical provision included. It should say that if the Administrator fails to act by the deadline set in the statute then owners of applicable aircraft may begin operating them under the regulations that currently govern Experimental Amateur Built aircraft without threat of enforcement for violation of current airworthiness regulations. (Statutes always trump regs. Yay statutes!) I’m not holding my breath, but I have to guess that this would get things rolling. The bill attempts to get some motion on a wholesale improvement in the torturously slow and complicated process of certifying new aircraft. It creates a new advisory committee at the DoT (rather than FAA) level that is tasked with reviewing the FAA’s current certification process and providing suggestions for improvement. This is essentially what the Part 23 ARC did for Part 23 certification back in 2012, but apparently congress wants this to be an ongoing effort. Specific efforts outlined in this section include a comprehensive review of the FAA’s current engineering designee program with an eye towards expanding it and giving DERs greater autonomy. The bill also calls for an emphasis on risk-based (as in “risk continuum”) regulation rather than the current “one size fits all” approach. With any luck this will all flow in with the Part 23 rewrite to result in a much smarter process for certifying GA aircraft. (3) adopts a process (other than the traditional means of certification) to allow eligible aircraft and engines to operate using qualified replacement unleaded gasoline in a manner that ensures safety. I interpret that as a demand to skip the per-model STC process for certification and simply offer a blanket approval for any aircraft that currently burns 100LL. This seems kind of obvious. Hopefully the deadline (again, imposed without any teeth) will help make unleaded gas a reality sooner rather than later. There’s a provision in the bill that would require the FAA and the ATC Corporation provide a means to hide the registration number of private aircraft at the owner’s request. 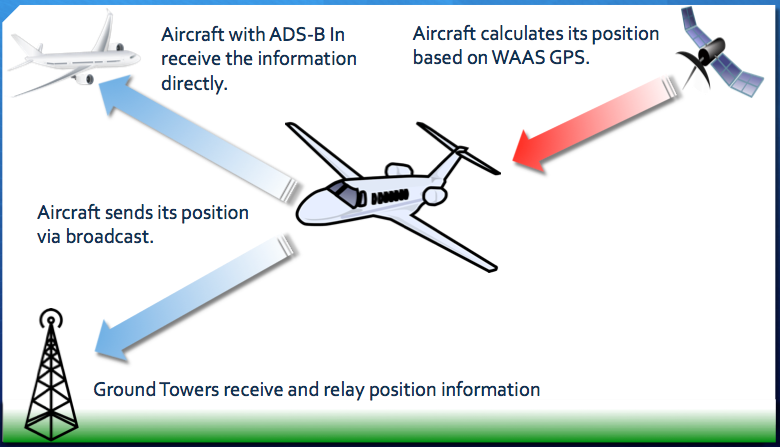 This is probably well intentioned, but a combination of direct ADS-B and the public record registration database (which includes ICAO codes) makes this pointless. The bill calls for the creation of a GA-lead task force to review the FAA’s current rules for Part 91 operation. In general the task force is charged with looking for ways to improve processes related to the bureaucratic minutia handled by the FAA: letters of authorization, delegation to appropriate designees, methods for training FAA personnel. In general this sounds like yet another attempt to reform the culture of CYA that’s endemic a the agency. The Part 23 ARC report blamed the majority of the issues with certification on the internal culture. This expands that to encompass more than just the ACO. A final bone tossed to us: they want to expand the registration period for aircraft to 10 years. Sounds good to me. Tort Reform – The price of new aircraft will not come down until we get blanket tort reform. The bill should make all lawsuits involving aircraft federal. It should also define private aviation as an inherently risky activity. Better still – cap the recovery from any GA accident at $1m (the amount covered by most GA insurance policies). THAT would help revive GA.
Teeth – Every provision in that bill that has a deadline should have a section outlining the repercussions that will automatically occur should the agency fail to meet it. That’s the only thing that will make it move at anything more than its traditional, glacial pace. The Pi fits perfectly, with the power connector and audio jack exposed. It screws to the “bosses” – the standoffs with integrated nuts – perfectly using ordinary 1/4 #4 screws. I might add a lock washer and go up to 3/8″ to avoid the screws backing out due to vibration. The SDRs and GPS fit just fine, with the GPS being locked in place by the far-end wall of the case. The SMA pigtails hold the SDRs in place and exit the case on the opposite end. The fan, which bolts to the top, also fits very cleanly. I’m duly impressed with the quality of both the build and the material. The case looks great and the Boltaron is very strong. It fits together very tightly – to the point where it feels like a solid block, rather than a plastic box with parts inside. Perhaps that’s a cliche, but it’s also true. The one minor disappointment I have is with the color. I picked “light gray” and this is it… very light. The next option is “medium gray” which is much darker. I may offer buyers the option of light or medium. I need to order a medium gray and make sure it doesn’t have any heat issues. The shield (or is it a HAT?) fits perfectly inside the case, but it will require a new top as the fan will need to be moved up to make room for the board and any components mounted on it. 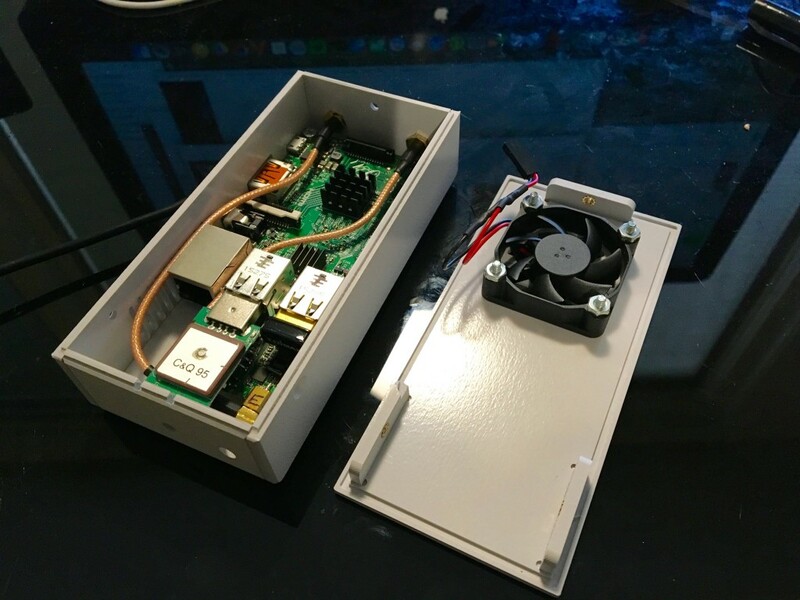 We will probably offer two options for the upgrade: one is just the card and it will require you to move the fan to the outside of the case; the other is a new top that makes room for the board and the fan inside. One other detail to point out: note the holes at the end of the case right by the SDRs. Those are lined up perfectly with the MCX connectors so that you can connect an MCX cable directly with the module should you wish. 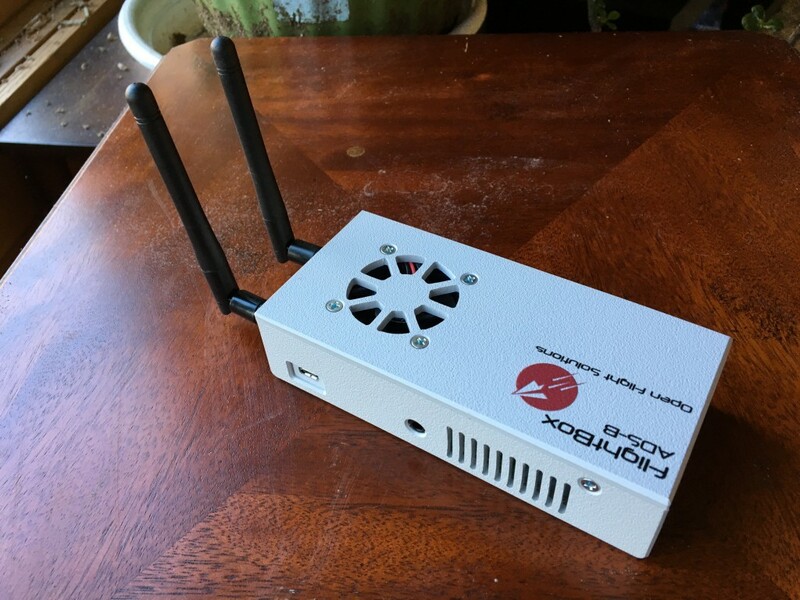 Most people will prefer to use the SMA jacks – they provide a much more solid connection – in which case the holes offer a direct source of airflow over the SDRs. Question: do you the fabricator to add holes in the bottom for permanent mounting? Let me know what you think.